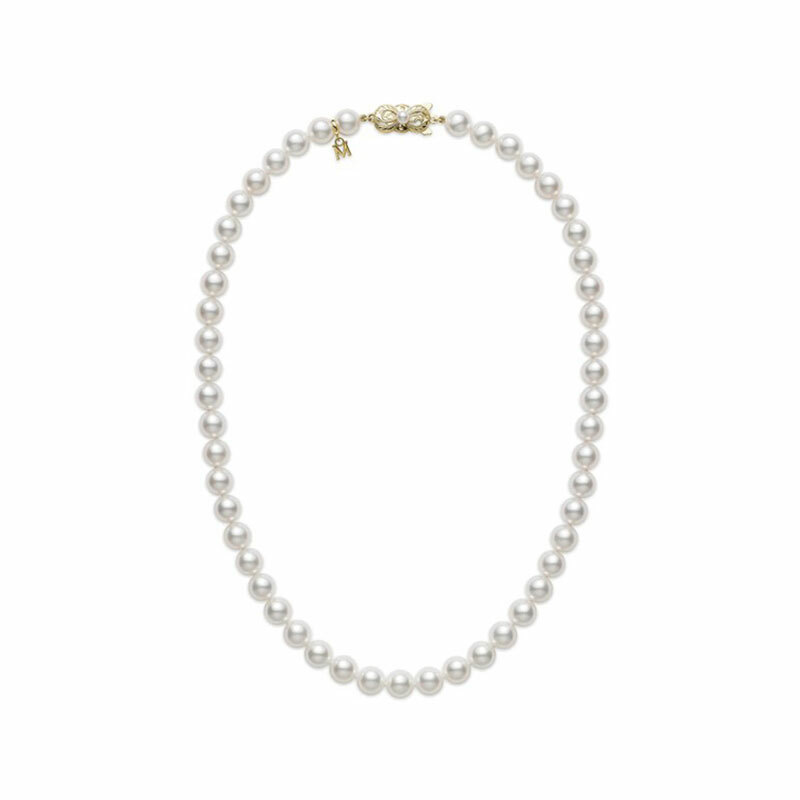 Mikimoto uniformed single strand cultured pearl necklace measuring 18 inches long having pearls measuring 7 by 7.5mm each, AA quality. Neck has an 18 karat yellow gold imperial collection clasp with one bezel set full cut diamond weighing 0.5 carats. Necklace also has an 18 karat yellow gold M charm tag.